The future looks bright and promising for e-commerce in Singapore. It is globally building its name and continuously displaying the convenience that comes with online shopping, a reason why it’s the best alternative to brick and mortar retail. Giant retailers like eBay and Amazon have been transacting since they entered the market about 20 years ago and have inspired other businesses across the world. Today other industries like food and beverage, technology, fashion are leading in e-commerce with huge inventories as well as customers who buy from them directly. Singapore is no exception as far as e-commerce industry is concerned with Small And Medium-Sized Enterprises (SMEs) marketing themselves through various online platforms. In Singapore, e-commerce is taking over the Small and Medium-sized Enterprises. With a total population of about 5.6 million, daily internet users total to approximately 4.7 million including expatriates and about 2.9 million from this figure have at least used e-commerce to get goods at one point in their lives. That number propels businesses to market themselves online and push sales taking into account that there is a large market base for potential customers. While many online users prefer online window shopping to the traditional physical window shopping, the aspect of receiving goods that aren’t exactly as you expected is very real, which most shoppers find humiliating. However, that does not prevent them from browsing to find new releases every day. There are still millions of users who have not yet adjusted to the online market, and smart businesspeople are taking advantage of this opportunity. 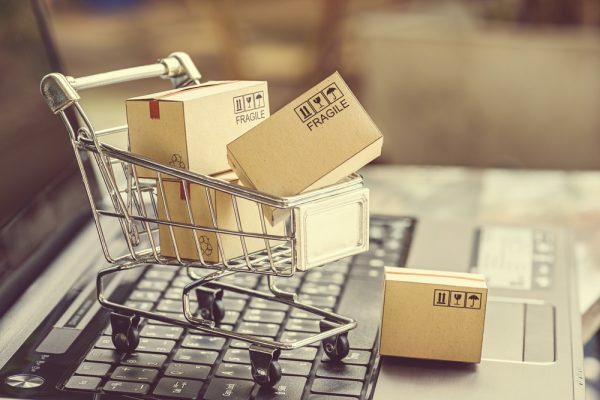 Taking your retail business to other online platforms may seem daunting as many SMEs are facing similar challenges like limited funds, time, and experience. Third party web stores builders have developed over time and have provided valuable workforce towards business success. They address fears like the collection of consumer’s private and personal data, security of payments, web designs, online delivery schedules and many more. They can enjoy exclusive attendance from e-commerce infusion like Tack This which massively help them create an online store that they can use for marketing and managing of their online business at some reasonable rates. This has, therefore, reduced the challenges that SMEs could be having so that they can focus on other sensitive areas. Small and medium-sized enterprises can market themselves online free of charge! They only need to list the business on the 99% SME website. This proposition was made in 2017 through the annual 99%SME campaign that was launched by DBS and Singtel three years back. Through the website, online shoppers can look into in-store promotions at more than 2,600 brick and mortar SME and an e-marketplace with over 400 digitally prepared SMEs. The number is growing every day and promising. SME make up to 99% of businesses, and as the bedrock of the country’s economy, SMEs have to adapt to digitalization quickly, and the technology to strengthen economic resilience. A number of SMEs received training on cashless payment tools and on e-commerce. The mission here is to increase the number of signups, and the team couldn’t be prouder as the project has gained massive support and progress. E-commerce commands a total of 16% of the world’s trade in goods and is still rising. The benefits are many, and a good example is that it promotes large-scale exports for goods and markets. For instance, a particular digital exporter based in Peru exports products to an average of 25 countries, while the traditional exporter reaches only three. Another benefit is that e-commerce has created jobs, like China’s Alibaba group has produced over 30 million jobs inclusive of the 19 million indirect jobs. About half of Alibaba’s retail ecosystem online store owners are women. E-commerce is designed to either catch up with the already developed countries or grow with the developing countries. Based on the two, less developed or developing countries have a more significant advantage as they will gradually grow together. Acquiring an online store goes a long way towards widening and increasing your reach online, both globally and locally. Because many shoppers prefer time saving and convenient experiences, so many of them will prefer having the goods delivered to their homes. Many SMEs in Singapore, do well as a result of competition. In fact, all businesses that flourish face stiff competitions by both local companies and international. There is also the likelihood of the development of quality services and products—in e-commerce, a reputation broken could have adverse effects on a business. This is often brought up by the need for control and power. SMEs are expected to compete favorably without trying to shame each other. Healthy competition will bring forth happy customers who will not only enjoy excellent services or quality products but will get them at a subsidized rate. Due to competition, most online stores operate 24/7 –if you go offline, the client will only need to click to another site for the same service. They also have to avoid bad rates from their customers, which will only prompt them to be cautious when going about their business. A study conducted by Flipit, an online saving platform who wanted to see how the e-commerce industry has grown found that in every five Singaporeans, three of them shop online, with the market revenue per shopper totaling to S$1,022 two years ago. With approximately 82% of the country’s population online, the Singaporean e-commerce market is expected to rise steadily and expand by 11.2% before 2021. Generally, online marketing is taking over the business sector. The digital technology today is working tirelessly to get e-commerce to another level. Connecting and being online is just the beginning. In Singapore, huge steps have already been taken to improve and grow Small and Medium-sized Enterprises. Success needs to be engaged across the e-commerce chain, starting from developing an online company to creating global e-payments for cross-the-border deliveries and after sales services.